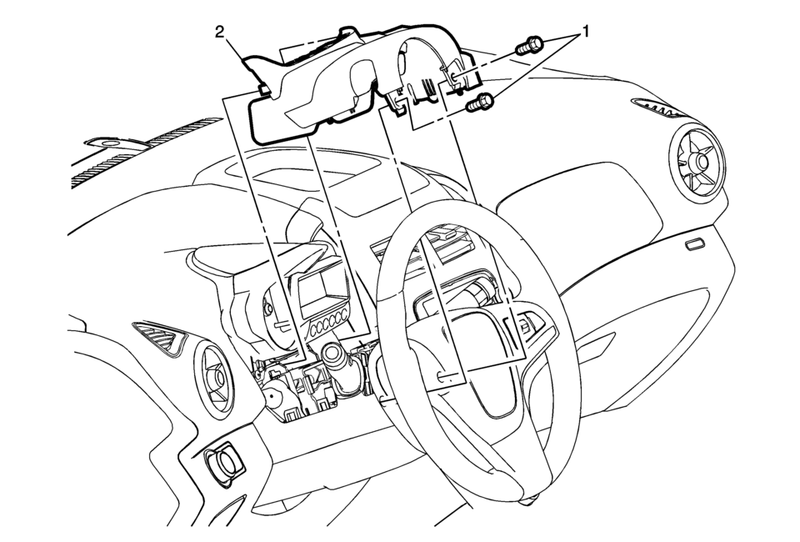 Turn the steering wheel to the right and to the left in order to gain access to the fasteners. Use a flat bladed plastic trim tool along the right and left sides of the trim panel in order to release the retainers securing the upper trim cover to the lower trim cover. Lift the upper trim cover upward and rearward in order to release the retainers along the front forward edge of the upper trim cover.